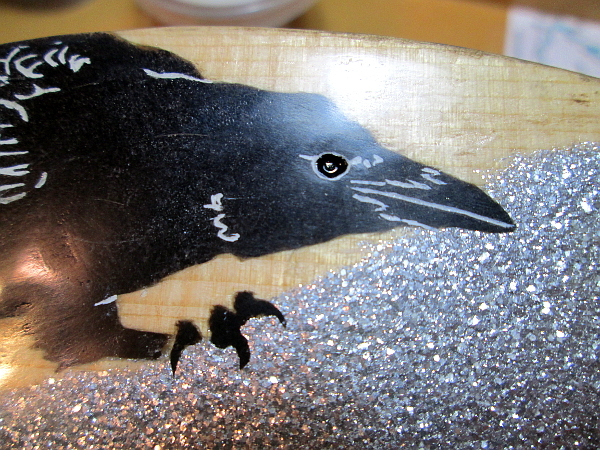 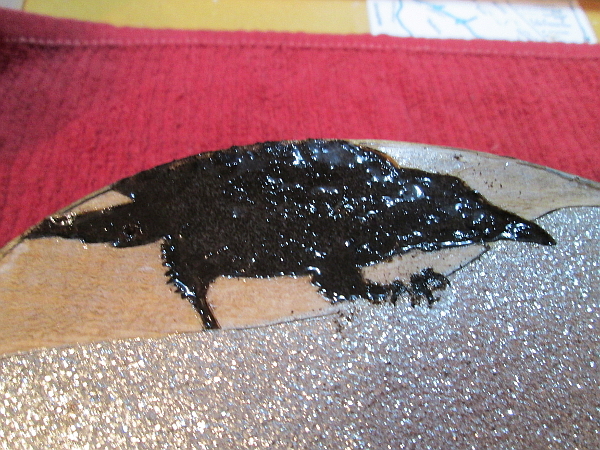 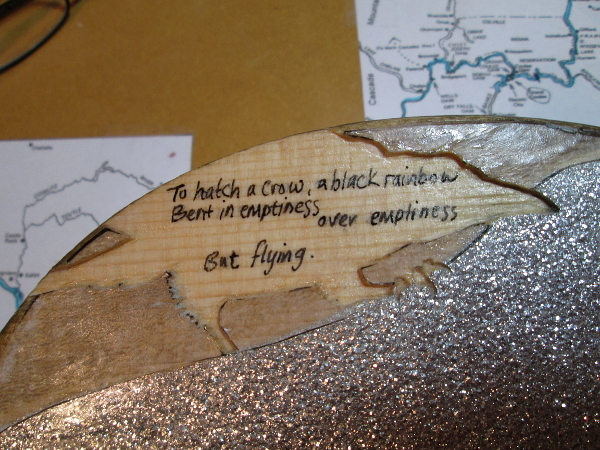 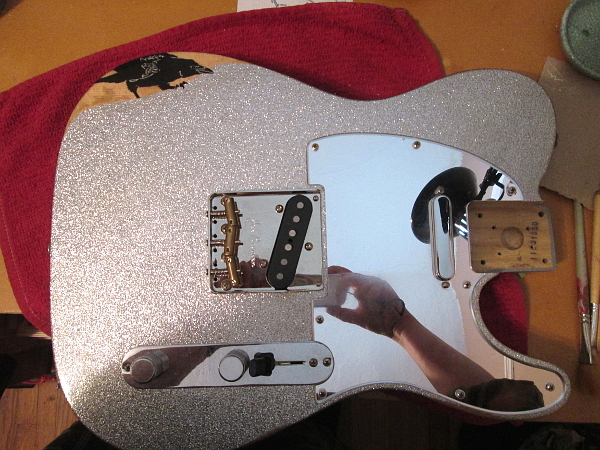 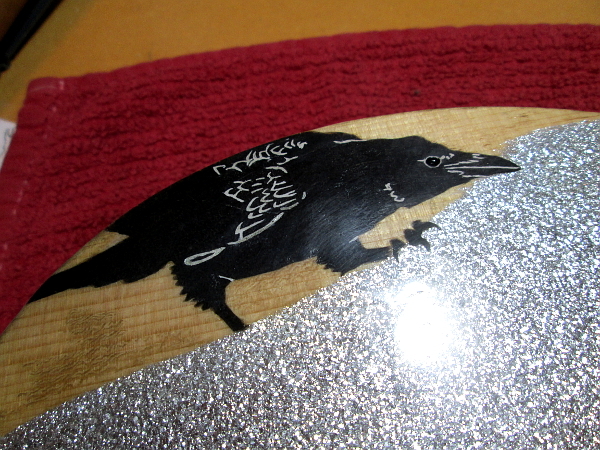 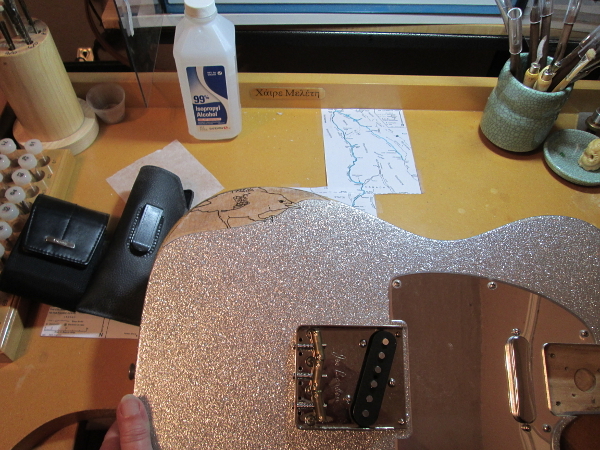 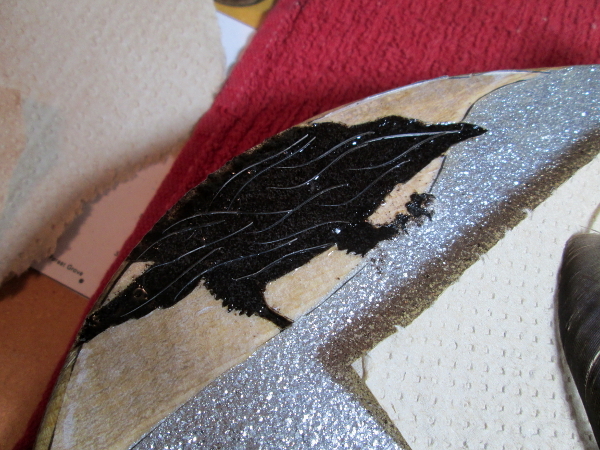 Crow inlay designed for an extra sparkly Fender telecaster. 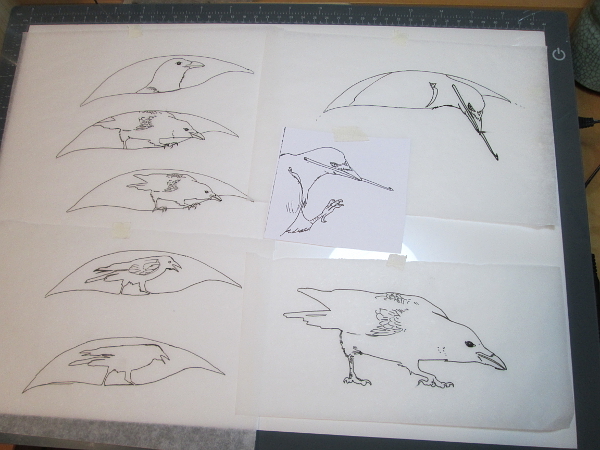 Ink tracings of several versions. 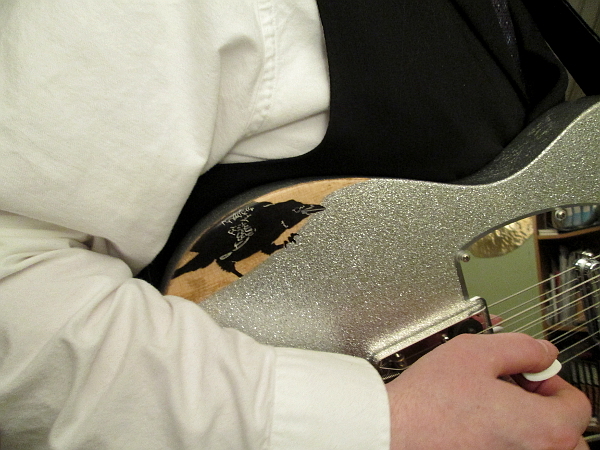 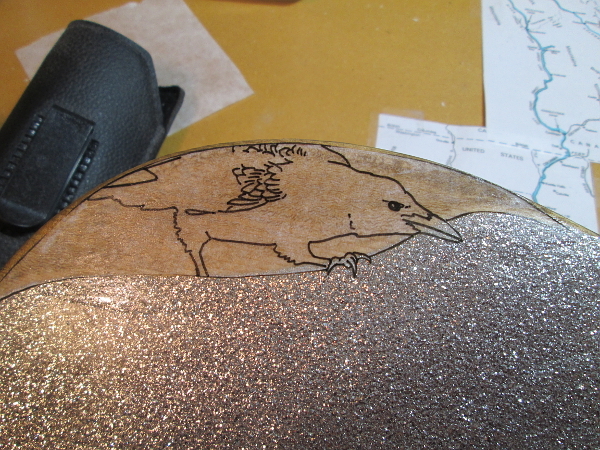 Ink tracing of selected design positioned and applied to inlay field on guitar. 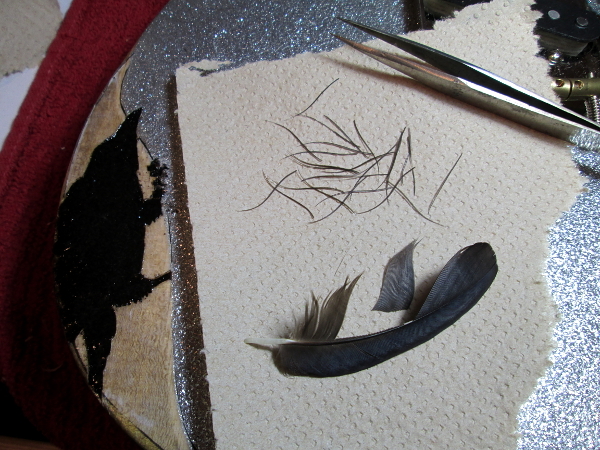 Feather threads laid into first layer of ebony. 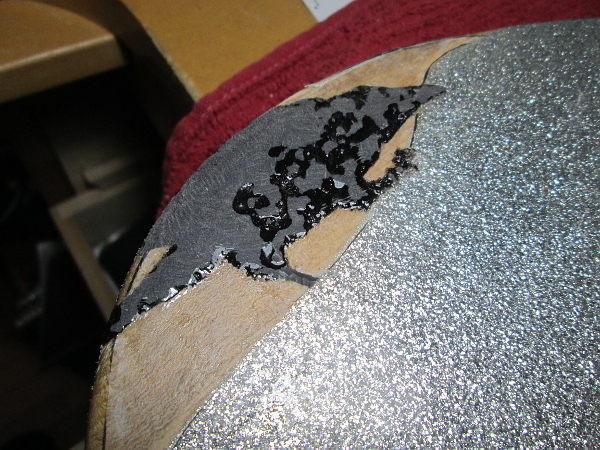 More ebony applied, countless stars appear. 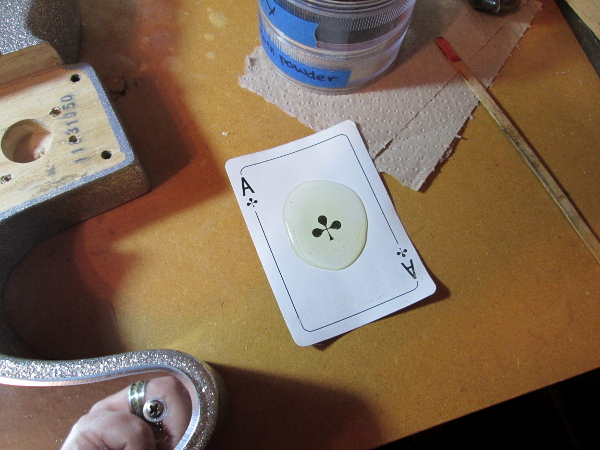 Internal lining cut and inlaid with powdered eggshell, pigment, and powdered turquoise. 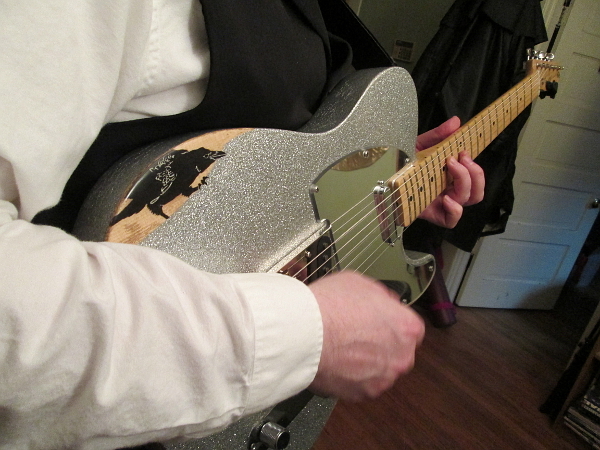 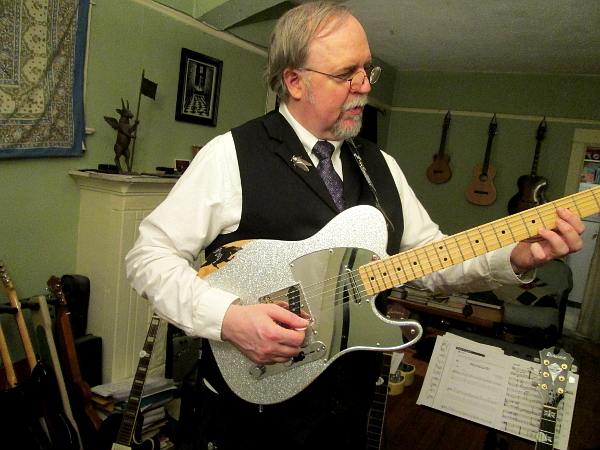 Reassembled guitar, back in action!